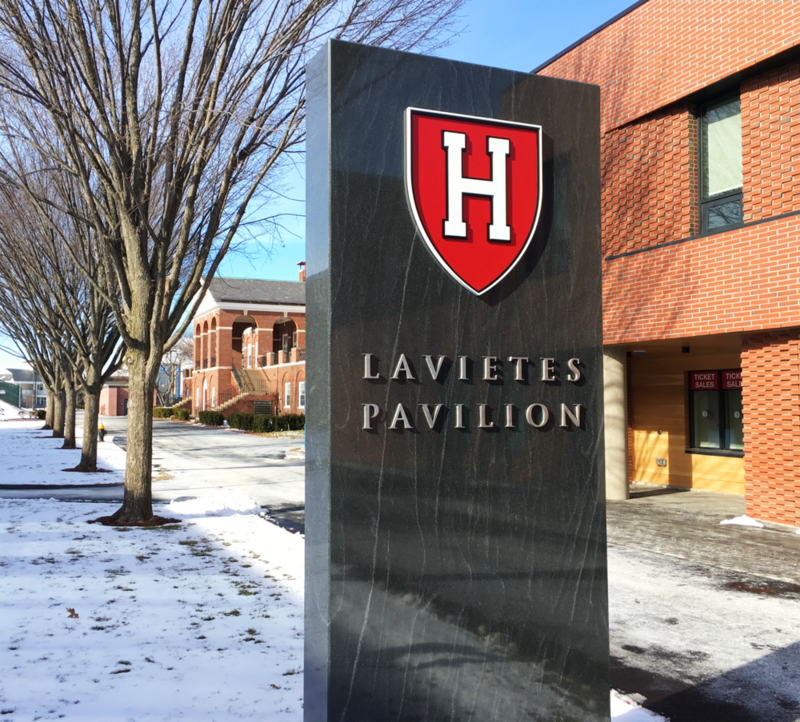 Harvard's recently refurbished and rededicated arena for men's and women's basketball — The Ray '36 and Estelle Lavietes Pavilion, formerly called the Briggs Athletic Center — stands among the most historic venues in the sport. 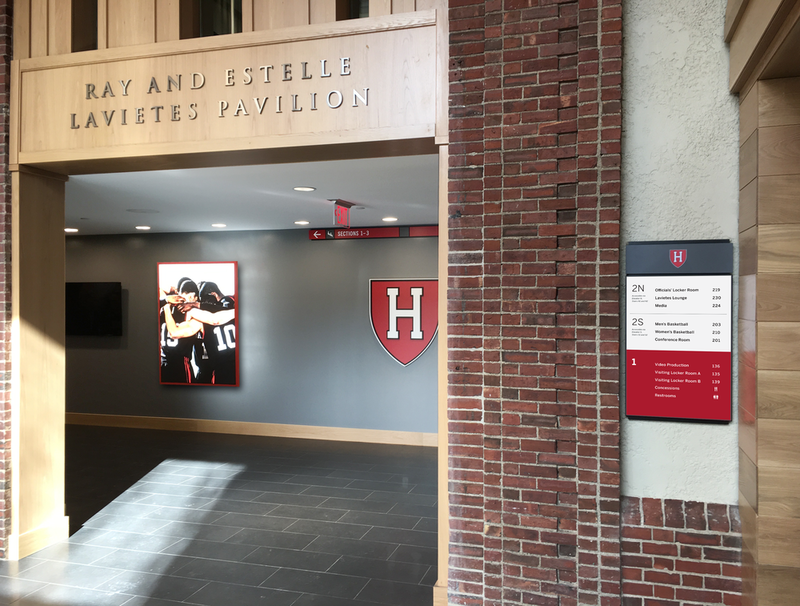 The facility underwent a multiphase renovation in recent years, completing its transformation prior to the 2017–18 season. 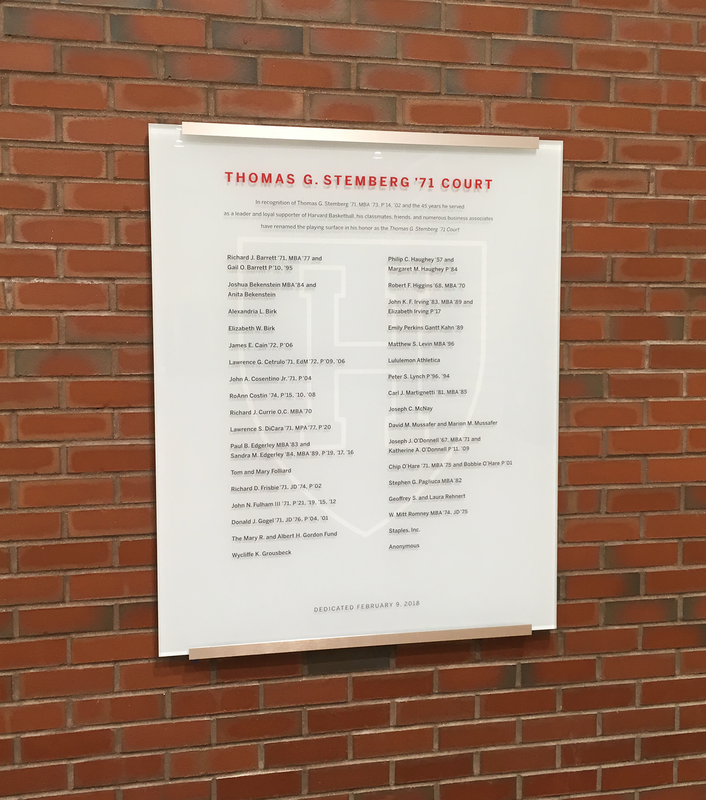 Designed by Malcolm Grear Designers, the sign program includes a striking, granite main entrance monolith, a comprehensive wayfinding program, graphic light panels, interior signage, and glass donor recognition plaques. 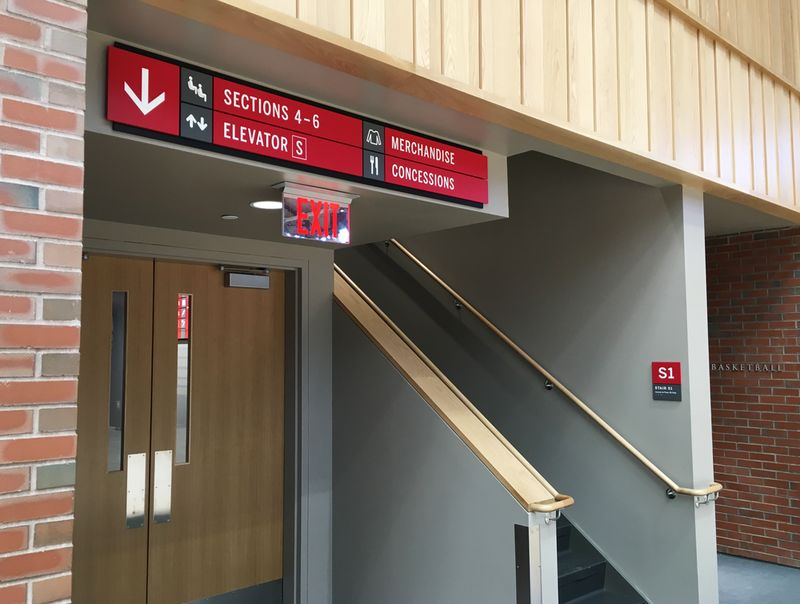 The university’s athletic brand is enhanced throughout the building with the careful arrangement of color, typography, proportion, and materials.